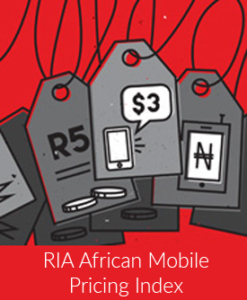 The Fair Mobile Index aims at communicating the real value of mobile voice services and at comparing differences in mobile voice services value across the African continent. It allows for the comparison of mobile services tariffs in all African countries in relation to the value of a widely used commodity with which citizens are likely to be familiar such as cooking oil, sugar or tea. The following report is based on all pre-paid tariffs publicly available (from operators’ websites) from all operators of each country on the continent in April, May and June 2011. Download the second quarterly report.